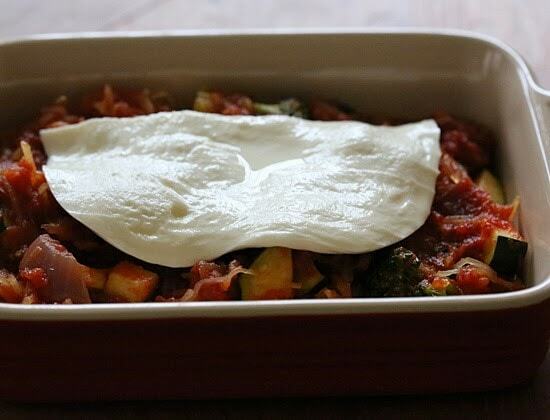 Spaghetti Squash Primavera is made with fresh vegetables simmered with a quick marinara sauce and topped with fresh mozzarella – easy, cheap, gluten-free and perfect for Meatless Mondays! I love swapping pasta for spaghetti squash, especially with dishes that are saucy and flavorful. This dish turned out wonderful, and if you’re trying to cut back on meat you won’t miss it! 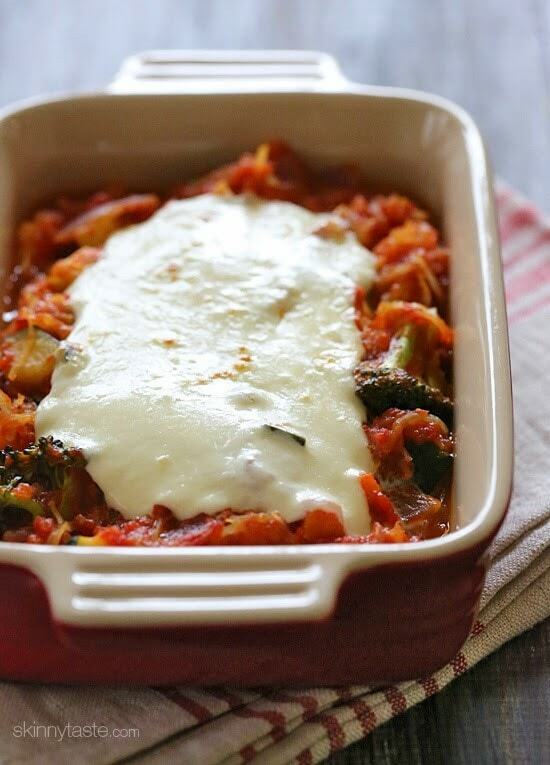 More spaghetti squash recipes I love, Baked Spaghetti Squash and Cheese, Spaghetti Squash Enchilada Bowls and Spaghetti Squash with Beef Ragu. This recipe was inspired after watching a marathon of Diners, Drive-ins and Dives, but this time we actually decided to go to the nearest DDD restaurant, The Pit Stop which was featured on the show for their spaghetti squash primavera. 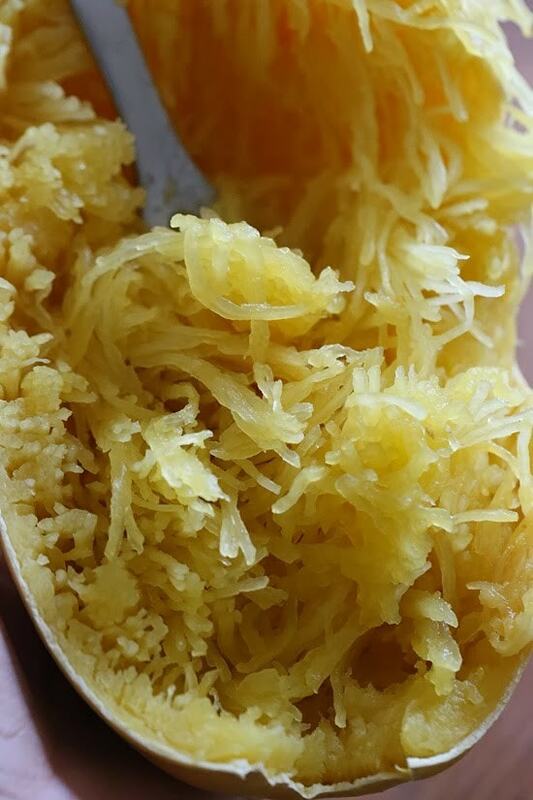 As a spaghetti squash lover myself, I ordered it and loved it and knew I wanted to re-make this at home. 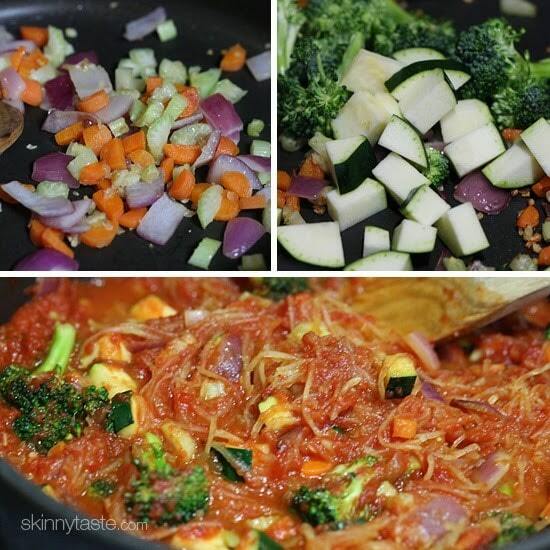 Super easy to make and you can use whatever vegetables you like – I used broccoli, carrots and zucchini but you can use asparagus, eggplant or bell peppers. To speed this up I made the spaghetti squash in the microwave which takes only about 8 minutes to cook, but if you have more time you can make it in the oven, the directions below are for both. Of course, I had to top mine with fresh mozzarella which was just made and still warm when I bought it this morning! Leave the cheese out for vegan or dairy-free if you prefer. This dish comes together in less than 20 minutes, and you can easily double the recipe to make it 4 servings using a larger saute pan. LONGER METHOD: Preheat oven to 400ºF. FASTER METHOD: If you prefer the microwave, stab the squash with a knife all around and place on a microwave safe dish. Microwave 7-9 minutes or the skin gives when cut with a knife. 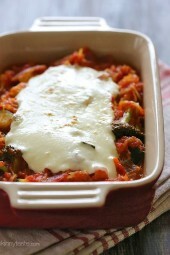 Add the broccoli and zucchini and season with salt and pepper to taste. Add 2 cups of the spaghetti squash, Pecorino Romano and stir, adjust the salt and pepper to taste and cook 1 minute. 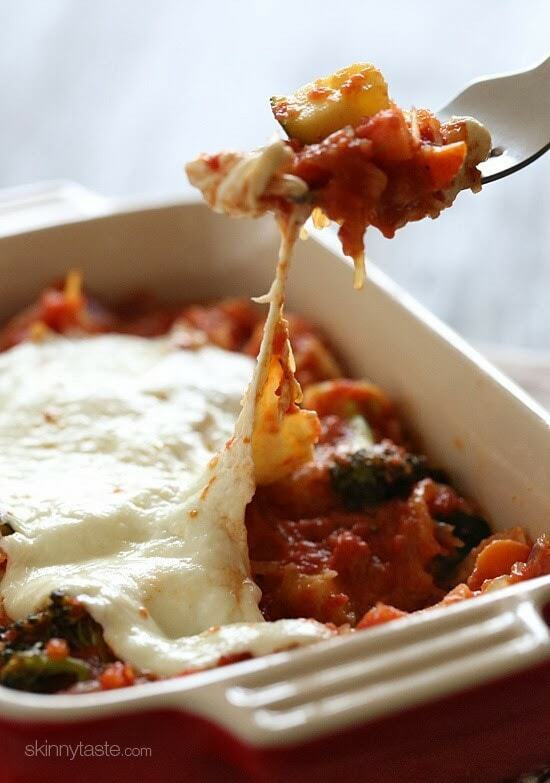 Divide the vegetables in two small casserole dishes, or you can use the shells of the spaghetti squash to make boats, then place under the broiler or in a hot oven until the cheese melts.